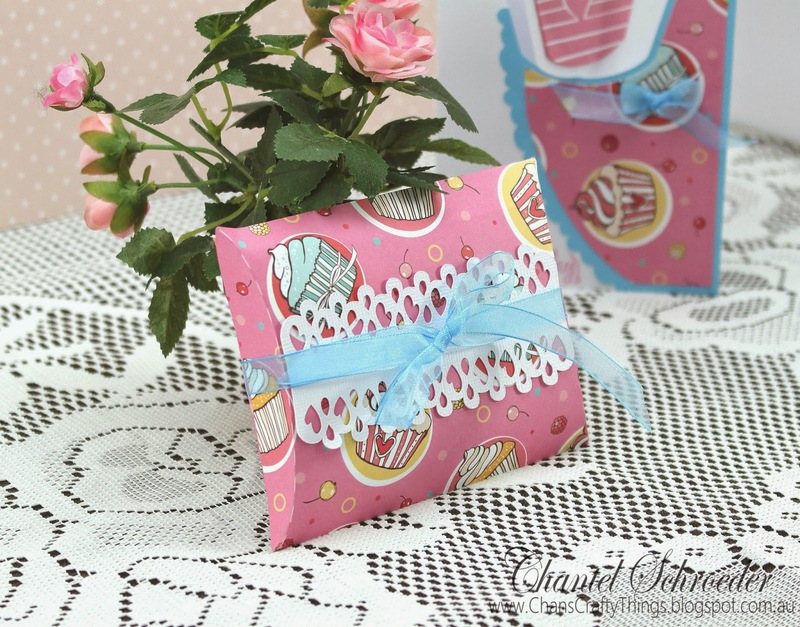 Hi there, today I am sharing a gift combo I made for a young lady at work last week. 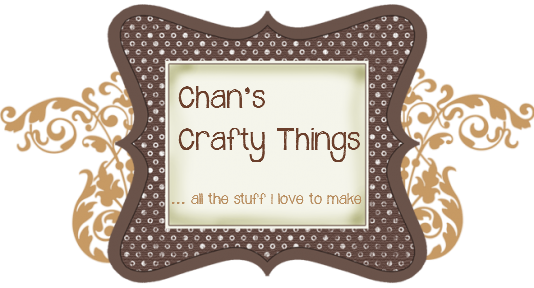 As some of you may know, another one of my crafty addictions is soap-making... So I whipped up a soap loaf (hope to do a blog post on that some time) and needed a small bag/box that would hold a single slice of soap. 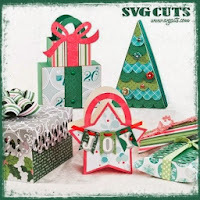 As I was looking through the tons of great boxes in the SVGCuts library, I came across the pillow box in the Christmas Bags and Boxes SVG Kit and the dimensions were perfect for my soap bar. So I pulled out some playful birthday paper from my stash (sorry, I don't know the brand as I've had it forever) and cut out my pillow box. Here it is... super sweet and fun for a young lady. Onto the card... which was totally inspired by the cupcakes on the paper. 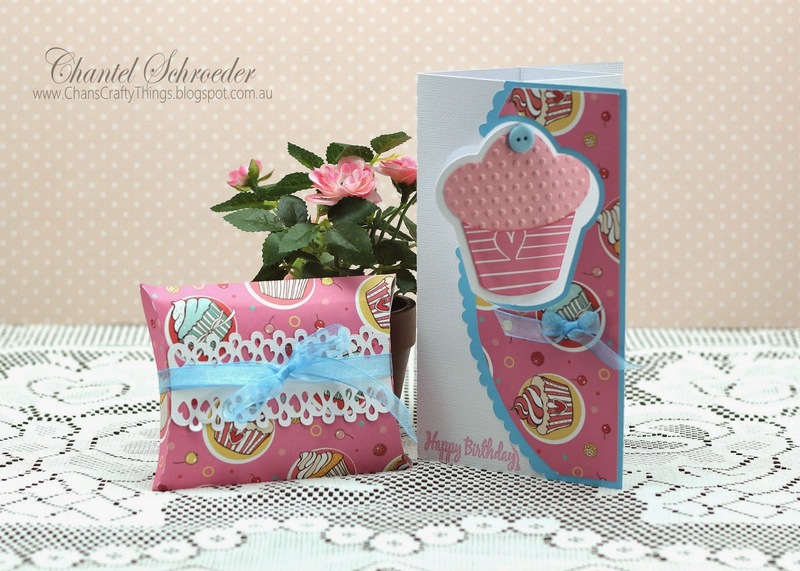 I went straight to the Happy Birthday to You SVG Kit as I've wanted to make the cupcake lever card for ages. I'm so glad I finally did - it's such a sweet card and so easy to assemble. As the paper I used for this project is quite bold and busy, I decided not to do the flower on the card but rather to keep the embellishments to a minimum. 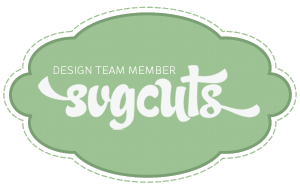 The cupcake is so cute by itself so I thought just a little embossing for texture would be enough to finish it off.